Denise Drake grew up one of 11 siblings in Baltimore. At nights, she’d gaze at the iconic Domino Sugar refinery that has long illuminated the city’s Inner Harbor. But, she never realized just how close her home was to the refinery until she came to work there decades ago. Today, Drake lives in the Baltimore County neighborhood of Windsor Mills in a home she purchased. She still drives into the city to work the sugar boiler controls inside the refinery not far from where she grew up. Her home is one of the many ways her job at the refinery has changed her life. Drake boils liquid sugar in order to crystalize it into granulated sugar. From there, it spins and is dried until it is finally ready to be packaged. She’s a member of the United Food and Commercial Workers Union Local 392, which represents more than 300 employees at the Baltimore refinery. 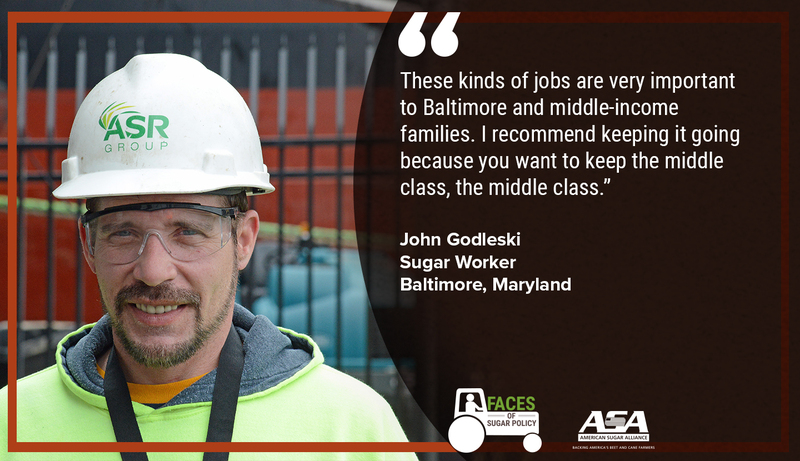 Her story is one of three the American Sugar Alliance documented in Maryland as part of its series to bring the faces of U.S. sugar policy to the public and Congress as lawmakers debate the 2018 Farm Bill. The Farm Bill includes America’s no-cost sugar policy, which helps farmers and factory workers compete in a highly subsidized global sugar market. And it helps Domino Sugar provide steady work in a city where good jobs can be hard to find, says Anthony Richmond. He got a job at the refinery after working for a company that made paint. Today he’s a machine operator. The job is challenging but Richmond is a man who doesn’t mind a challenge. He has three daughters. One recently got a good job, one graduated college, and another is heading there in the fall. He says he’s satisfied with his life. He’s able to take care of his family and has a job that is challenging and provides him with a long-term future. It’s that kind of career that first attracted John Godleski to the refinery. 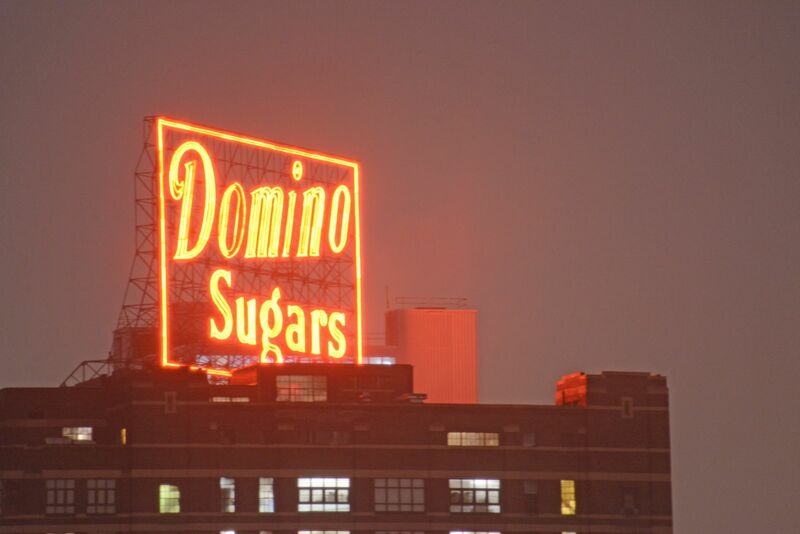 He grew up down the street, and the Domino Sugars sign holds a special place in his childhood memories. "When I was a kid, I always wanted to climb up on top of it,” he says. He graduated from high school and immediately got a job at the refinery. Twenty-eight years later, he works as one of the crane operators unloading raw sugar from boats in the harbor. He never thought, as a kid, he would end up operating one of the two cranes. Godleski has four boys and still lives nearby. The job has provided him a good income and that’s something he hopes Congress will remember. 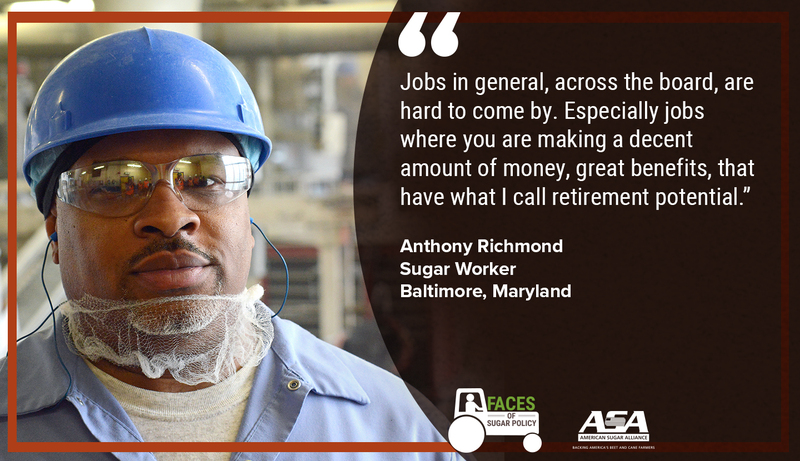 Watch these stories and more at facesofsugarpolicy.org.